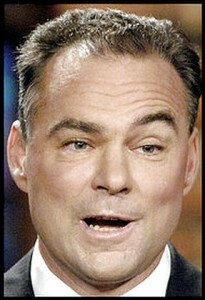 Governor Kaine Submits Eyebrow Raising Budget | Virginia Right! Tim Kaine – Please let the door hit you on the way out. So, on his way out the door, Tim Kaine finally stopped by Richmond long enough to pack up his belongings and drop off the poision pill Republicans were expecting. After four years of irresponsible budgeting by Kaine and Jody Wagner, overly optimistic revenue projections and out of control spending, Kaine finally “gets” it and proposes a sour grapes poison pill budget to saddle the next Administration with picking up Kaine’s “Let the good times roll” Administration. I say we let Bob McDonnell fix the Kaine screw ups in a reasoned and thoughtful manner, not the ill conceived Kaine ideas that look like they were written in an airport bar during a Mojito happy hour. And cutting mental health is probably not a wise move for Kaine and his Democrats. They’re gonna need them.